Our host for Greeters on April 16th will be Andy Thomas at McNary High School. 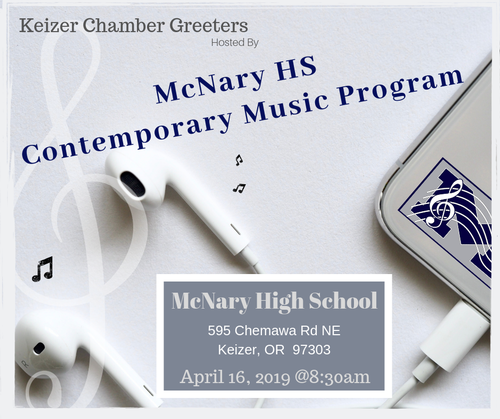 We are going to be hearing from the Contemporary Music Program and learning a bit more about this new endeavour at McNary HS. *PARKING and ENTRY: Please park over by Turf Football Stadium and enter from backside of school where there will be students to direct you. Thank you!